Alesia suffered painful and debilitating symptoms from her uterine fibroid tumors. She knew she had to do something, so she began researching fibroid treatments on the internet. 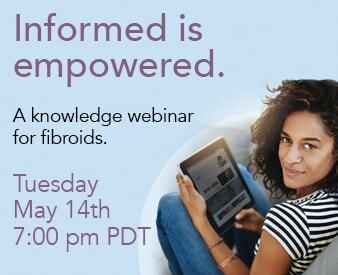 She came across the Fibroid Treatment Collective at www.fibroids.com and found a video of Dr. Bruce McLucas explaining fibroid embolization, a non-invasive alternative to a hysterectomy.